Spoiler Alert. 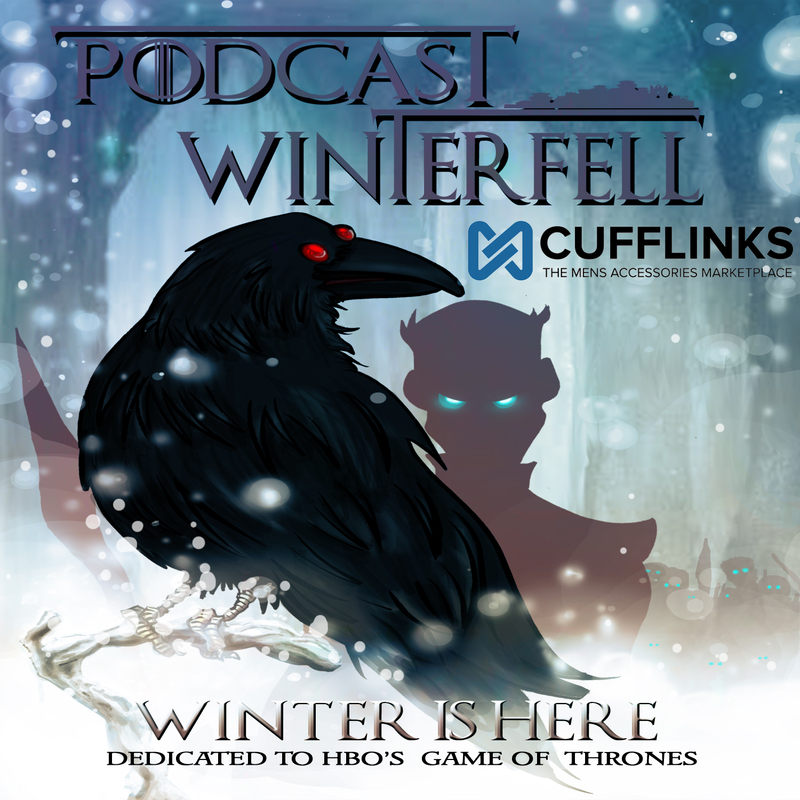 This podcast includes events from the most recently aired episode of HBO’s Game of Thrones. Avoid this podcast until you are current with the series. Otherwise, Donald (@DonaldJr) returns for some final words on S3E10 “Mhysa” and the season in general. Spoiler alert! If you are not completely current with HBO’s Game of Thrones, please avoid this podcast until you are. Otherwise Matt is joined by Robin (@thetvcriticorg) and Roberto (@robert_o) from the fabulous Game of Thrones podcast A Pod of Casts to discuss favorites, least favorites, and S3 in general. Spoiler Alert! This podcast will spoil events in the most recently aired episode of HBO’s Game of Thrones. If you have not seen S3E10 “Mhysa” please avoid this podcast until you have. Otherwise, while Donald Seaworth (@DonaldJr) is busy on a smuggling mission, Matt calls reinforcements for The North, Heath Snow of The Film List Podcast and Podtourage (@HeathActor) for a strictly television talk about this week’s episode. Spoiler alert! This podcast will spoil the most recently aired episode of HBO’s Game Of Thrones, so if you haven’t seen S3E10 “Mhysa”, avoid this podcast until you have seen it. Otherwise, Matt is joined by Heath, Ken, Bubba, Timm, John, and Axel to discuss S3E10 “Mhysa”. Now that Season 3 is soon coming to a close, we’ll begin reading the third book of the Song of Ice and Fire book series entitled “A Storm of Swords”. There are some things to note about this read as compared to last year. The podcast reviewing the books will be released on Thursdays, beginning the first week of July. There will be NO spoiler free versions of the podcast in relevance to the TV series. Only one podcast will be released each week which covers the contents of the book, whether that spoils aspects of the TV show or not. Sorry. I just won’t have the time this summer to edit the podcast twice. I understand if you need to unsubscribe based on that reason. We will have the book podcasts live at talkshoe.com (like we did last year) on Monday nights at the same time and place as we did the Fan Call In Shows (9:45pm Eastern) starting on July 1st. I will take a limited number of guests for each podcast so e-mail me if you are interested in participating in the panel discussions regarding the book. We will cover four chapters a week until the book is completed. It’s a long schedule, but it will help pass the time during the long hiatus. Hope you will join us in reading the book! After that we will conduct a re-watch of Season 2 (complete with Game of Drones recaps) watching from the perspective that we’ve seen Season 3 of the HBO show. Spoiler alert! This podcast covers S3E09 of Game Of Thrones, “The Rains of Castamere”. If you haven’t seen that episode, avoid this podcast until you do. There is also a book comparison discussion at the end of the podcast (after the end music). This week for the 2nd look Friday Matt is joined by Donald (@DonaldJr) to discuss this week’s Game of Thrones episode. Spoiler alert! This podcast will spoil the most recently aired episode of HBO’s Game Of Thrones, so if you haven’t seen S3E09 “The Rains of Castamere”, avoid this podcast until you have seen it. Otherwise, Matt is joined by a record number of callers to discuss S3E09.